Participating in the Lead or Follow discussion over at Artsjournal.com, Lynne Conner writes the following about audience participation/engagement in performances (my emphasis). Inviting audiences to interpret the art works we present (make, produce, critique) is not pandering. I wish we would stop this disingenuous habit of conflating an audience member’s inherent desire and cultural right to interpret the meaning or value of a work of art with choosing the agenda for artists or arts organizations. Sports fans engage in some of the most active interpretation in our culture (and as a result experience real satisfaction and pleasure), but that doesn’t mean they choose the plays or create the roster. I mean, come on. This got me to thinking in a slightly different direction. There are numerous television stations, radio shows and newspaper columns featuring people with high levels of expertise talking about sports, yet thousands of people feel no reservation about expressing a contrary opinion loudly in public places and in blog posts. They can hold opposite opinions about games and players from those of their close friends and still remain close. They are not intimidated by those with greater expertise or by the prospect of hurting their personal relationships. But have you ever been afraid to express your opinion about an artist or arts experience you have had for fear of either appearing elitist to the people around you, even close friends? Or on the other side of the coin, been afraid of appearing insufficiently knowledgeable? Why is that? Feeling unable to discuss these topics, of course, creates a vicious cycle where people continue to feel they can’t discuss these things. But can the image problem the arts have be fixed by having more people talking a lot more? Maybe, but it will require a lot of people doing a lot of talking. It is interesting to me that when a person goes shopping, a large number of choices can paralyze someone and result in no choice being made. However, in the face of hundreds of different opinions to select from, sports fans don’t seem to have a problem sifting through them and generating their own view of things. They don’t worry if they don’t agree with the guys at ESPN despite all the computers, statisticians and analysts the network has in their employ. When it comes to the arts, people get concerned if they don’t agree with the single person writing the review/preview. Either something is wrong with the reviewer or with them. Sports fans can dismiss a single writer as a bum and find another source of information that more closely agrees with them. It doesn’t matter if it is a wholly unsubstantiated view. The fact it confirms their view can make them more comfortable and confident with their ability to evaluate their favorite sport. That isn’t so easy to achieve in relation to the arts and is becoming less so as media outlets cut back their coverage. Its funny because it is so much easier to dismiss the opinion of a single poorly funded person over a corporate television station with the resources to analyze something to death based on a thousand different criteria. Yet in the absence of any other easily accessible information about the performance, people don’t feel they know enough to say the reviewer is wrong, even though they may be absolutely right. On the other hand, ESPN’s analysis may be as close to 100% correct as can be, but it doesn’t bother the sports fan in the least that they are completely wrong in disagreeing with the analysis. Heck, there are sports fans who have been rooting for teams that haven’t been contenders for a championship in decades. They find some pleasure in being wrong year after year rooting for the wrong team. How many arts organizations get that much slack after rendering a poor performance? A lot of the devotion a sports fan feels has to do with a feeling of ownership and investment they have in the team, a sense of kinship they feel with other fans and myriad other factors. Many arts patrons feel the exact same things. Of course, some elements of the sports experience won’t translate over to the arts. Dancers aren’t going to reminisce about how they were berated by audiences at the beginning of the season but won them over with their technique and heart the way a rookie athlete might. Though audiences for those few performing arts companies who retain the same ensemble from year to year can speak about watching artists develop over time. There isn’t anything insurmountable standing in the way of people engaging in active interpretation of their arts or cultural experience in the same manner as they do with sports–except that they aren’t doing it. There isn’t an arts and culture police running around enforcing standards on conversations. The only impediments are those largely tacit ones we enforce upon ourselves and each other. I am going to stop short of suggesting what we must do because I don’t think it is as simple as more arts coverage in the media, more arts in schools, more arts bloggers, more outreaches, more free performances. 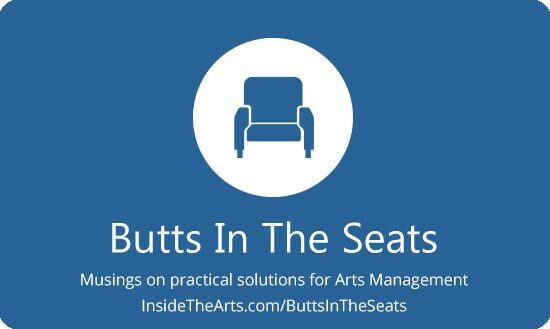 These may all help, but there are a lot chicken and egg factors to the arts environment in the United States. These things are useless of themselves if no one is receptive to them. How do you create that receptive environment? At the Arts Presenters conference earlier this month, Braddock, PA Mayor John Fetterman quoted a lesson from Sen. Alan Simpson that any significant change takes seven years. I wonder how long it might take to change the culture of a community to the point where people felt free to engage in active interpretation of arts and culture.